From modular to customized design, Fontanot is the Italian staircase designer with a newly opened creative center right in the heart of Milan: My Place is the space for design events and professional sharing of ideas. In honor of the annual Fuorisalone event during Milan’s Design Week, Fontanot found a symbolic moment to show the world of creative minds its excellence in Italian staircase design with the opening and new launch of its Milanese creative space located in Via Marco Polo, 9. My Place is the name of the new “Laboratory of Ideas,” branded by Fontanot, that opened its doors in April, with an interactive event meant to give an idea of its multifaceted nature. Described neither as a showroom nor as a flagship store, My Place mixes two very different realities, one which deals with cook-sharing, and another with Contract and Design. An original combination for a meeting place to share projects and creativity, it is a hotbed of synergies in design and architecture. 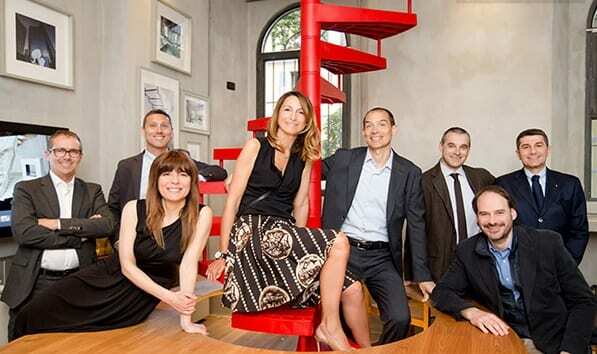 Fontanot is the innovative staircase designer born in Italy, with operations launched in both the UK and US market. They specialize in DIY spiral staircases for the home as well as a growing presence in large scale contract projects, recently boasting collaborations with some of the biggest architects in the biz. Their latest contract projects include the staircase installation in Bosco Verticale in the Porta Nuova area of Milan, voted the most beautiful skyscraper in the world in 2014. In addition, Fontanot will soon unveil its staircase project completed in collaboration with Arata Isozaki for Isozaki Tower in Milan, set to be the tallest building in Italy. Amidst the buzz of new architecture popping up all over the city, Fontanot Contract also has a hand in the construction of the new UniCredit Pavilion, adding the main staircase of the entire building complex. Fontanot Contract embraces the phrase, “You ask, we create,” taking the design from the paper to reality for all of its clients, being able to interpret their needs with a fully personalized solution. They have also made a name for itself as the staircase designer that captures the essence of functional aesthetics and sustainable design. They are extremely dedicated to environmentally friendly business practices, designing staircases that may be broken down and subdivided, their single components recycled by material: iron, steel or wood. They also use only wood certified by the FSC for their other staircase models, water-based paints, and bamboo, which grows quickly and naturally.